Add your reservation link to your Yelp page! Learn how to claim your restaurant, bar of cafe page. 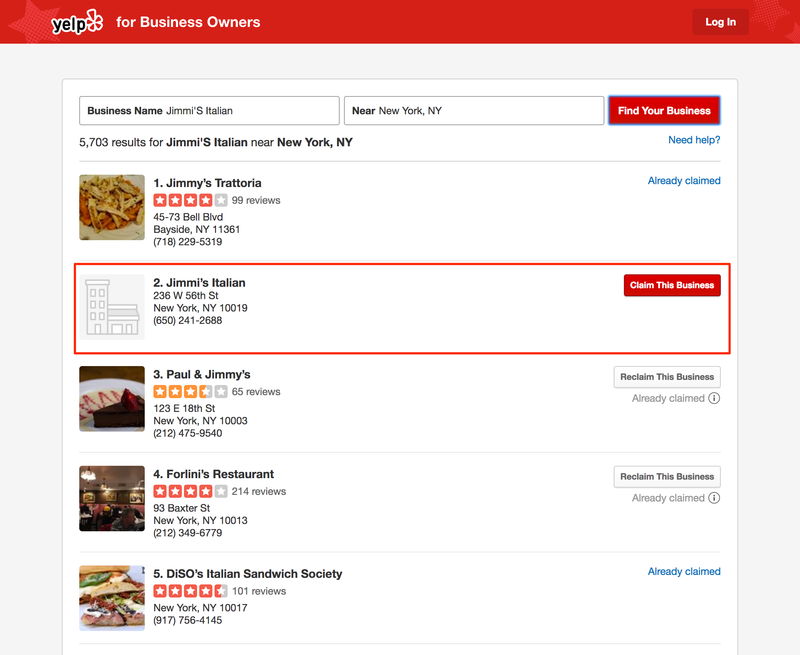 Search for your venue's Yelp page and claim it if someone has already created the place, or create one. 1. Search for your business to make sure it's not already listed. 2. If your restaurant is not yet listed, add the new one. 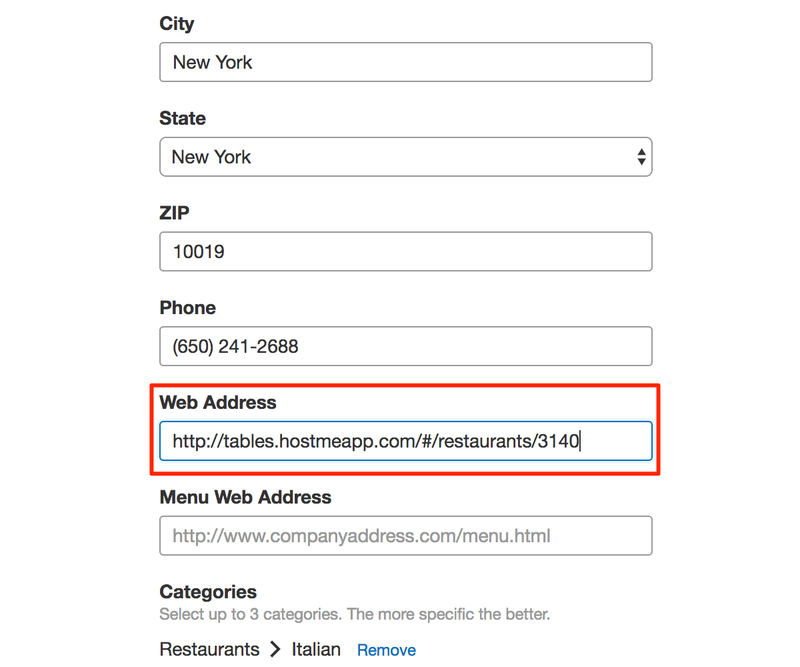 Enter your restaurant information in the provided fields. 3. Copy your online reservation link. 4. 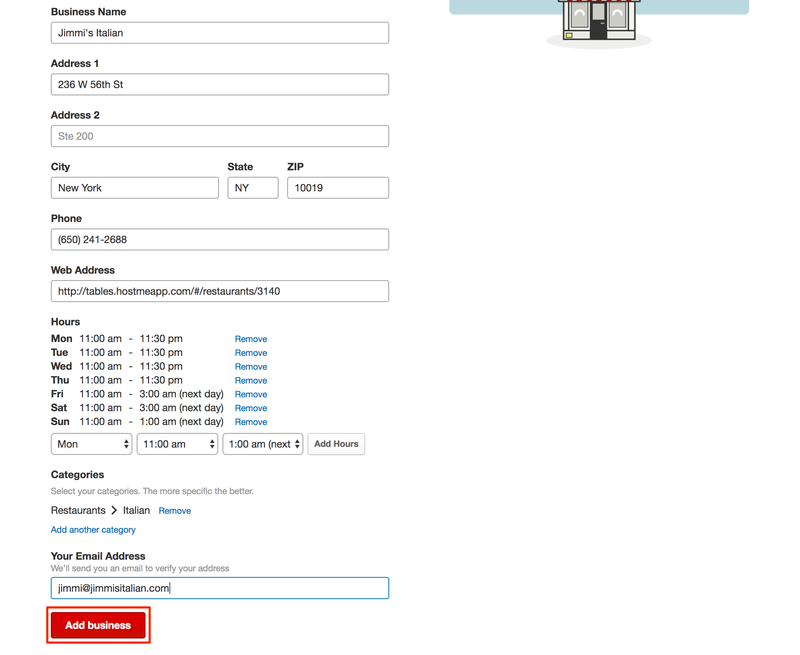 Paste the Hostme online reservation link into the URL field. 5. Click the “Add business” button. 6. Now you need to wait for a publishing confirmation from Yelp, and then you can start using your page. 1. Search for your business. 2. 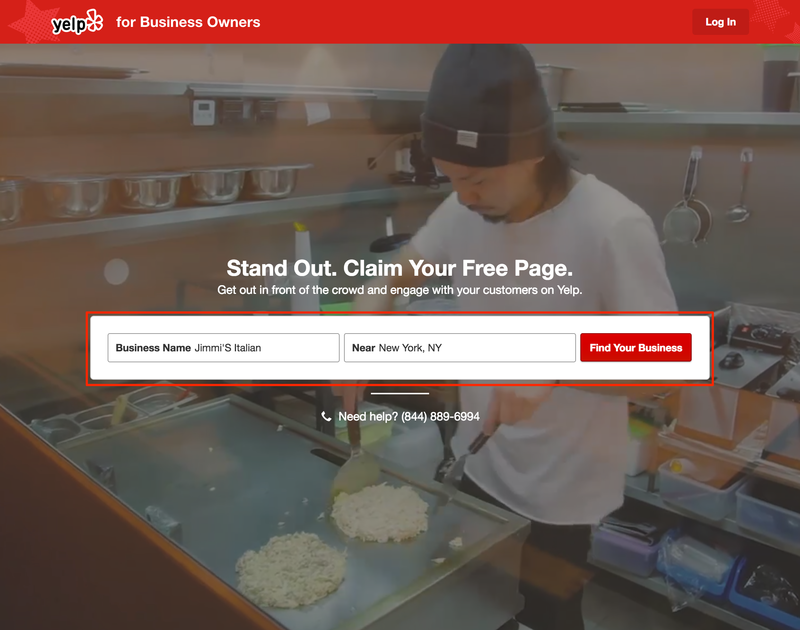 Find your restaurant and click the “Claim the business” button. 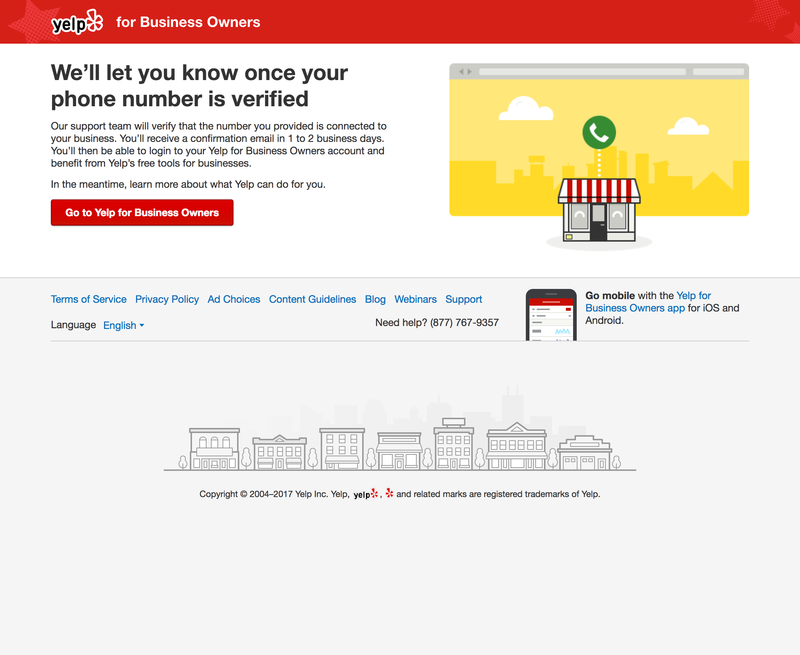 Sign up and follow the Yelp instructions for the verification process. 3. Once you claim your location, you can edit your URL and paste the Hostme link into it. Why should I accept reservations from Yelp to my Hostme page? Hostme is a universal tool that provides you the functionality to accept online reservations from all sources - without any extra cost. Just place the link and start receiving reservations from Yelp, Foursquare, Facebook, and your website, all in one place. Manage reservations and walk-ins using Hostme. Hostme pricing is in the range from $0 to $50 per month, without any additional costs. The Call to Action feature is included in some of Yelp’s advertising programs – visit the Billing section of Yelp for Business Owners to see the list of products currently available in your program. If it's available and you'd like to enable it, contact your Account Manager (their info is also in the Billing section).